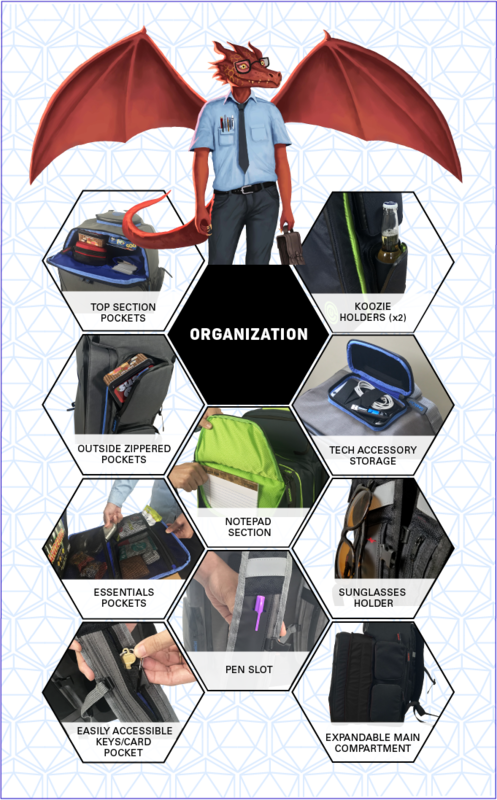 The Ultimate Boardgame Backpack - GeekOn! 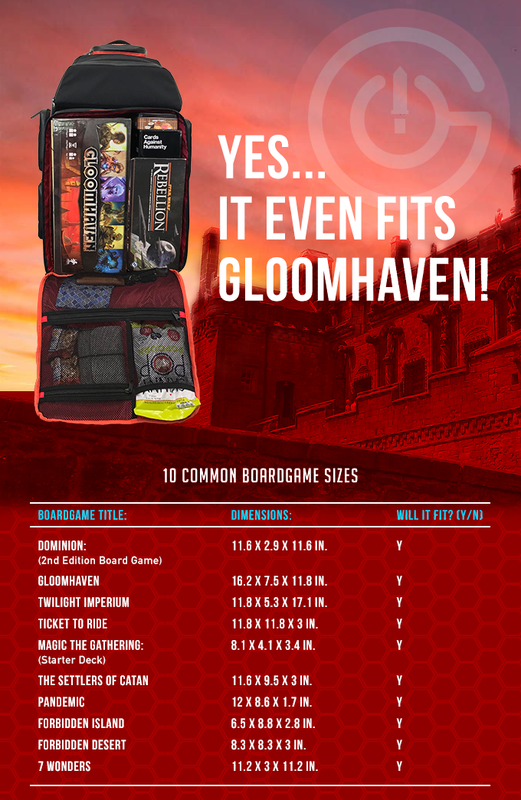 Questions about assembling The Ultimate Boardgame Backpack? - CHECK OUT THE DEMO VIDEO HERE! Now this is a game bag! Ever walk into a room and feel that all eyes are on you, or rather what you're wearing on your back? Neither have I.. until I got this bag! I am now the master of the playing field and the envy of all I conquer! I adore this backpack, but when I bought Twilight Imperium, I thought "damn. Looks like even this backpack won't be enough." But after some adjustments I managed to make it fit, without having to expand it. It continues to impress, I am one incredibly happy KS backer. When I received my backpack, and all the gear that came with it, at Christmas, I was more excited then a small boy getting a puppy! I followed the instructions easily to put the bag together and then was amazed at the high quality construction and materials used to protect my boardgames and whatever else I could stuff into this beautiful creation! 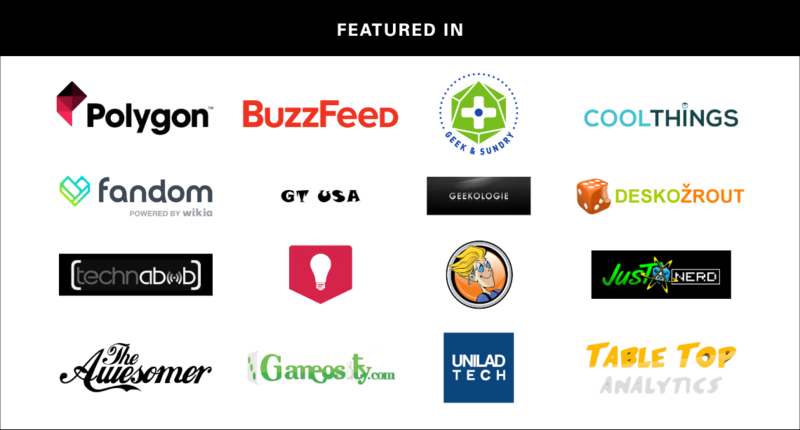 I’ve had so much fun showing this off to, and wowing, my friends and fellow board gamers! You did not disappoint! 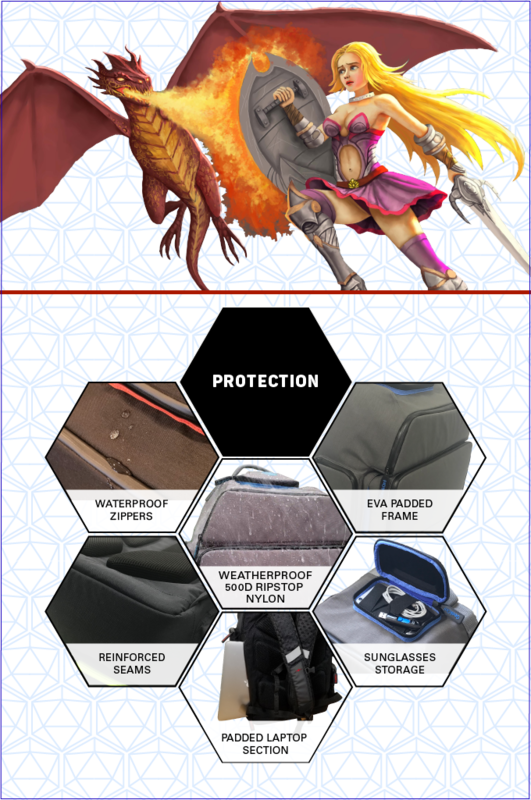 This is the best gaming bag EVER! 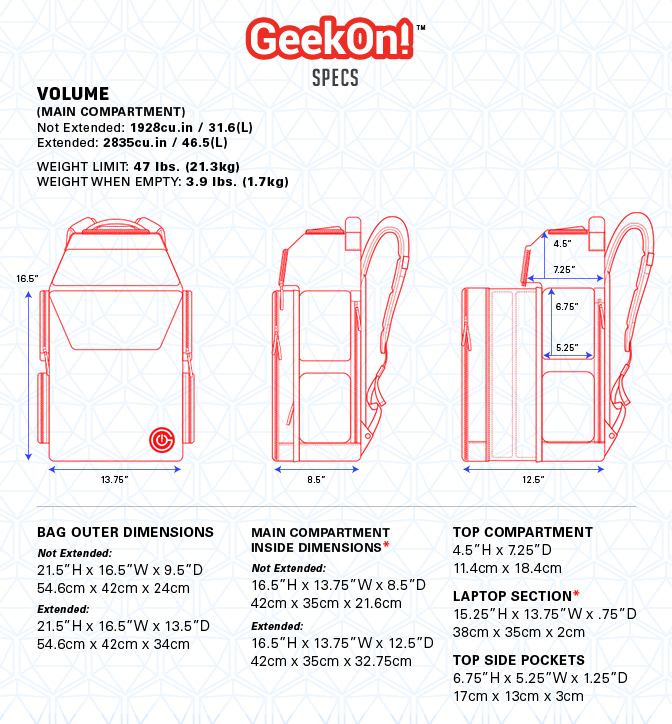 The geekon team was extremely thorough in the bag design. They thought of everything. 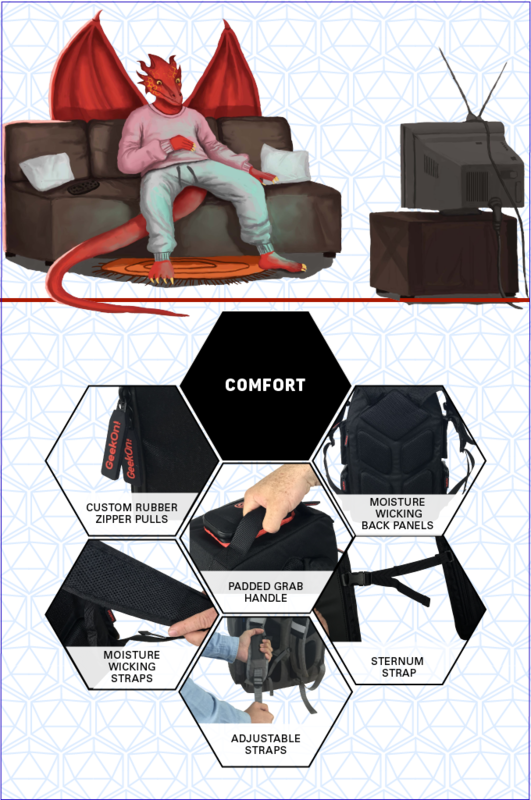 Some of the features that stand out for me - the bag can hold lots of games, then it can expand to hold even more games; backpack straps; game mat holders; laptop pouch. I am recommending to all my friends. Received my backpack earlier this week. The size of the thing is nuts, in a good way. Thanks for the prompt delivery. Got mine in WI today. Love the black and red. Watched the set up video. Now to fill it up for game night. Just got mine in Chicago! Thank you for the awesome bag. I'm excited to gift it to my gamer boyfriend. He's going to love it! Gave my husband his backpack for Christmas. He loves it! Thank you so much! My backpack arrived on Christmas Eve. It’s great!